Euroload limited has developed a range of in house battery operated handsets. A cabled handset and a telemetry handset. 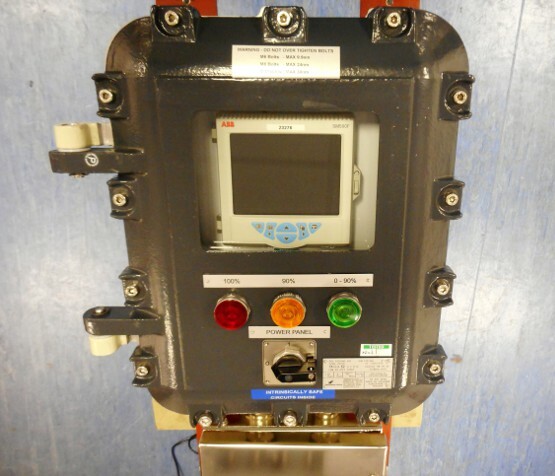 Both can be fitted to any style of load cell. 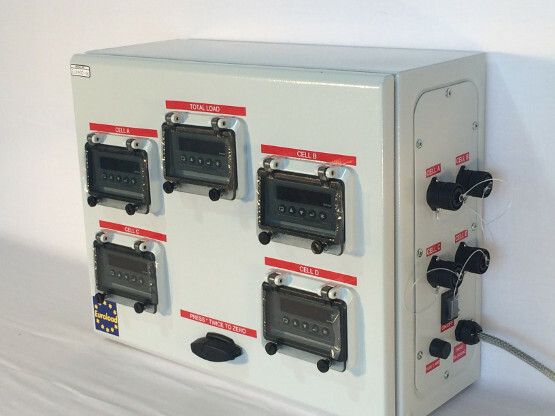 We can offer mains display panels housing a range of DATATRACK indicators. 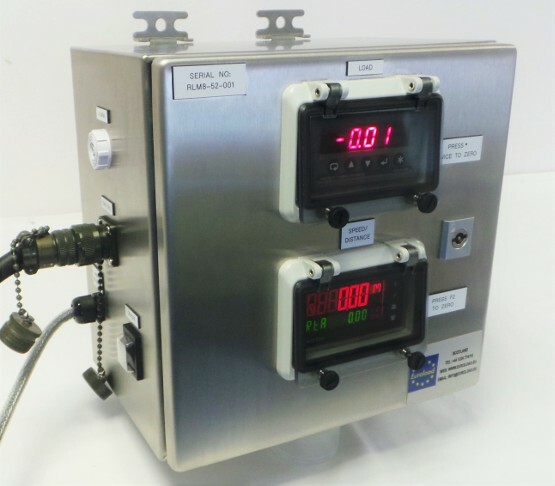 These indicators can have functions like alarms, relays, analogue outputs, digital outputs and many more. 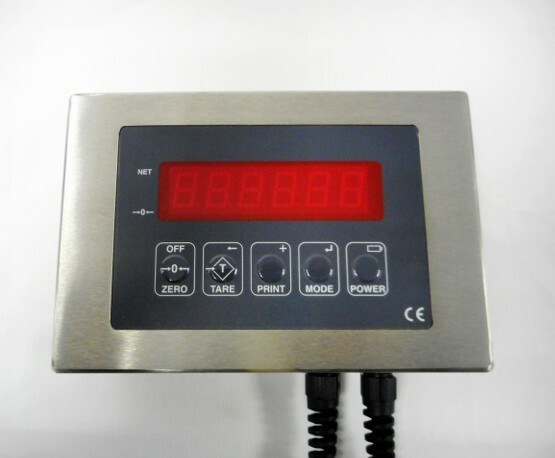 Euroload supply large 4" or 6" bright LED displays to display load on dockyards or overhead cranes. 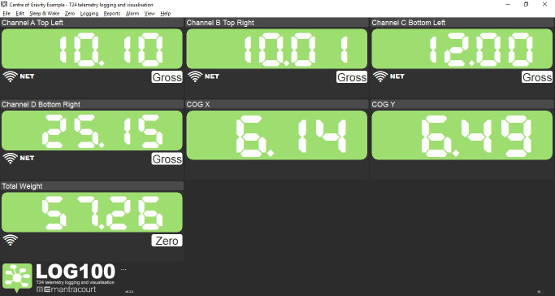 Systems can be designed to incorporate multi display panels showing multiple loads and total loads. 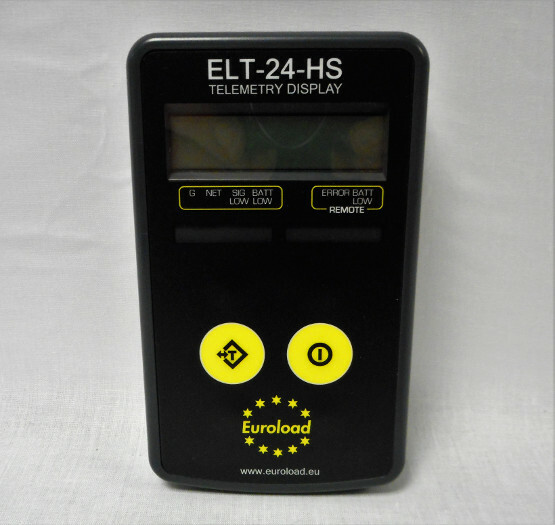 Euroload has a standard 4 point weighing system display for working out the centre of gravity on large structures. For specialized systems please call for a quotation.